Driving through Southwest Virginia, you’re struck by the beauty of the Appalachian Mountains. You can see why anyone would want to make this part of the country home. But in reality, what drew many of the people to this region was actually located below the mountains: Coal was driving force of development for much of the 20th Century. In this century, things have changed. While some mining still remains, Southwest Virginia is in the midst of transforming from an economy reliant on removing coal from the ground to one focused on the natural resources above it. That is, drawing people to the outdoor experiences that are plentiful in the region. In some instances, that means a new use for former mining lands. It also includes promoting the trails, rivers, lakes, and mountains that have been popular for many over the years, but they have certainly been underutilized. Small mountain towns have shifted from identifying with mining to providing resources to outdoor travelers, including historic inns, farm-to-table restaurants, breweries, and restaurants. It’s a transformation that is still in progress. But that means lots of outdoor gems to discover without large crowds. For anyone who enjoys hiking, cycling, fishing, camping, mountain biking, or climbing, Southwest Virginia has become a regional go-to destination. The real estate above the mountains is finally getting its due. So what make it such a draw for outdoor enthusiasts? Here are just some of the draws that make this regional special. While much has been done over the last few decades in regional development, many of the most popular trails have been around for a long time. The most famous footpath in the country, the Appalachian Trail, winds its way for 167 miles through Southwest Virginia (550 through the entire state) as it travels from Georgia to Maine. Thru-hikers have long known that this section is considered one of the most scenic and difficult of the whole trip, with incredible ridgeline trails that highlight unforgettable Appalachian views. More and more day hikers are taking on sections of the trail and taking advantage of this national treasure. The Virginia Creeper Trail follows the route of an old railroad line that was abandoned in the 1970s. A coalition of local citizens, government and the US Forest Service banded together to acquire the railroad right-of-way, and the Creeper Trail was born in 1987. The 34-mile multi-use trail begins in Abingdon, Virginia and carries on through rolling farmland to Damascus 15 miles away. From there, the trail winds up to its highest point at Whitetop Station, offering plenty of amenities and activities along the way. The most popular way to complete the trail is to take a shuttle from Damascus or Abingdon to Whitetop Station, the highest point on the trail. From there, visitors can bike 17 miles down to Damascus to be picked up. The gentle downward slope on this section of the well-marked trail makes it a breeze for even the most inexperienced cyclists. Along the way, visitors can stop to enjoy panoramic views of the rolling mountains, cool off in the creek, and break for snacks. The 47 trestle bridges on the path provide a bird’s-eye view of the forest floor and eliminate the ups and downs as the route navigates the hilly terrain. The 57-mile New River Trail is another scenic option in the region with a lot less climbing. The relatively flat path mostly follows the banks of the New River and Chestnut Creek. Starting in Galax, the three-covered trail is an excellent option for cyclists and runners looking to put in some miles. You’ll find plenty of small towns in the region that are worth visiting. Perhaps the best known has traditionally been Abingdon, one of the region’s premier trail towns but also a hub of local culture as well. 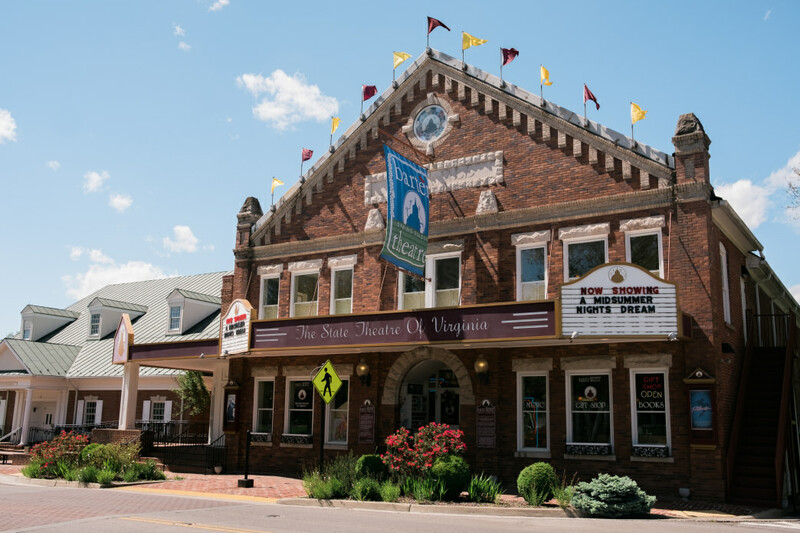 Home of the westernmost trailhead for the Virginia Creeper Trail, Abingdon is also home to the historic Barter Theatre, which is the nation’s longest running professional theater, dating back to 1933. You’ll also find the historic Martha Washington Inn & Spa, one of the state’s best places to stay. It’s fascinating history includes time as an opulent private residence, a girl’s college, and a Civil War hospital. Just down the road, Damascus is well known to weary thru-hikers on the Appalachian Trail, which actually runs through the town. Damascus is known for offering even the smelliest hikers a warm welcome. But it’s not just the Appalachian Trail—the town is a junction for a whopping seven trails total, including the Virginia Creeper Trail, the Iron Mountain Trail, the Daniel Boone Heritage Trail, and The Crooked Road Music Trail. Plus, plenty of post-adventure perks can be found, like the Damascus Brewery and Mojo’s Trailside Café. 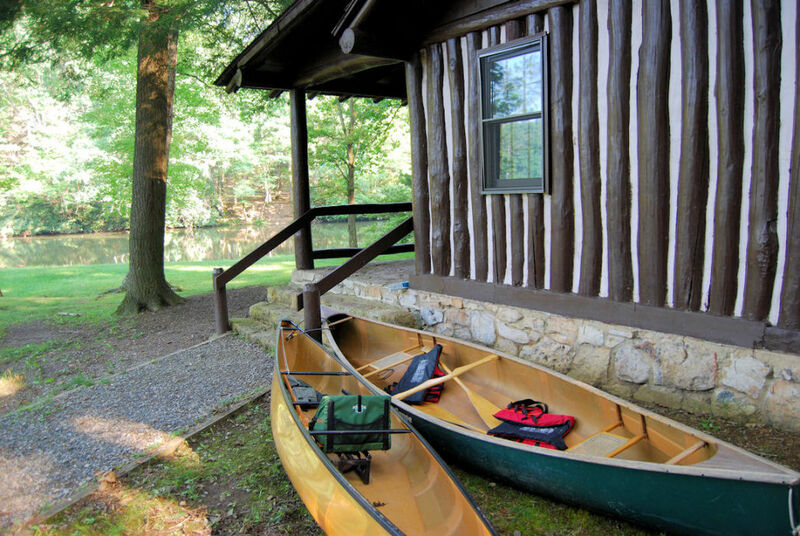 Overlooked by the towering Flag Rock Recreation Area, Norton is the ideal basecamp for all sorts of outdoor adventures. Just three miles from town, the Flag Rock Trail System offers 8-miles of singletrack spread over the lower reaches of High Knob. Above Flag Rock, the High Knob Recreation Area of the Jefferson National Forest is garlanded with routes like the 33-mile High Knob Trail and the leisurely mile-long Lake Shore Loop. Cap off the day in the cozy, subterranean pub at the Inn at Wise. You’ll find an endless number of options in the region when it comes to both state parks and federal wilderness areas. A big swath of the George Washington and Jefferson National Forest can be found in Southwest Virginia. Backpackers could spend months taking on the trails and truly getting away from it all. But for those more interested in day trips, several of the regions parks feature incredible outdoor experiences as well. 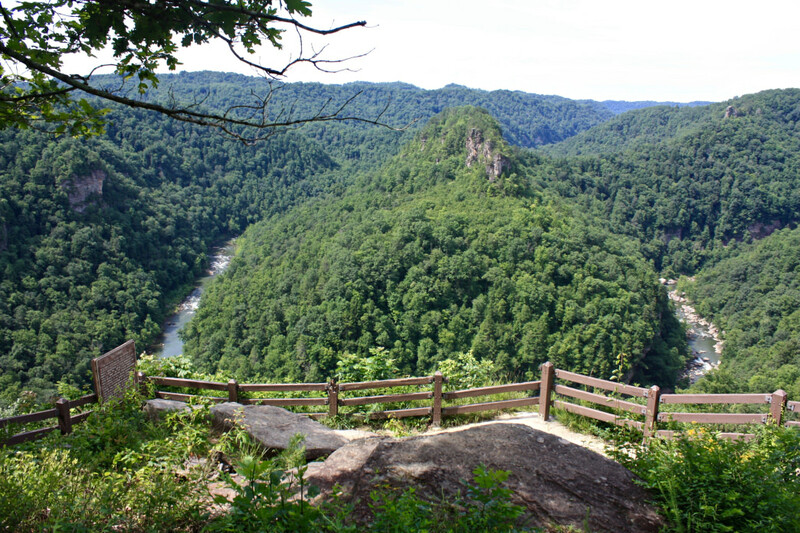 The Mount Rogers National Recreation Area is home the highest peak in the state. 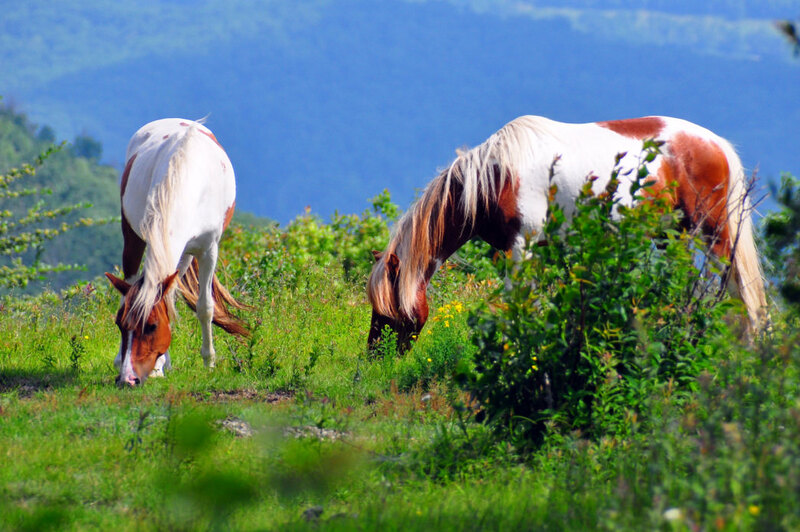 Grayson Highlands State Park is adjacent to the area and offers access to a climb up the 5,700-foot peak. Other must-sees in the region include Breaks Interstate Park, or “The Breaks” for short. This spot constitutes the largest gorge east of the Mississippi River, making it an excellent spot for hikers. It also recently opened up to rock climbing, and has quickly attracted climbers from throughout the region. The High Knob Recreation Area, part of the Jefferson National Forest, sits at 3,800 feet above sea level. It’s the highest campground in the region, and visitors can enjoy a 4-acre cold-water lake with a 300-foot long sand swimming beach, excellent hiking trails, and a lookout tower that offers a view of five states. For those who enjoy being on the water, Smith Mountain Lake is the largest and most popular lake in Virginia. Though this reservoir was created for electricity production with the construction of the Smith Mountain Dam in 1963, it is now the focal point for a bustling recreation scene. The lake and its surrounding area are best known as an ideal place for boating, sailing, flatwater paddling, fishing, swimming, hiking, golf, watersports, and camping. 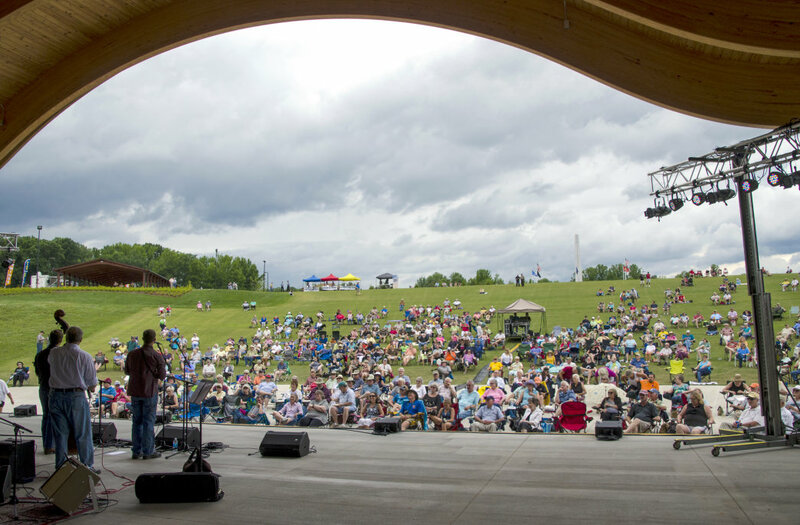 Music has always been important to the region, and theThe Crooked Road Heritage Music Trail, which travels 300 miles through Southwest Virginia, tells the story of how it evolved, what it means to the region, and its impact on music today. It’s both a window on the rich heritage and long-standing traditions of Appalachia and a way for communities to instill hometown pride and a sense of place in future generations. For those simply looking for a scenic drive, the Back of the Dragon route has become one of the most popular motorcycle destinations in the state. Part of the larger Dragon Series that includes the Head, Tail, and Claw of the Dragon sections, the Back of the Dragon is not to be missed if you’re anywhere near Southwest Virginia. It’s a winding road full of switchbacks that illuminate vast views of the land below the cliff that the road follows for its entirety. Flanking the Back of the Dragon are the towns of Marion and Tazewell—both quaint spots worthy of a visit in their own right. Finally, for those interested exploring more about the coal mining past of the region, the Pocahontas Exhibition Mine and Museum in Pocahontas, Virginia, is a great way to see how difficult it was to initially remove coal from underground. You can tour a former mine and learn about the dangerous job of bringing coal to the surface. It’s a fascinating study of the history of the area.